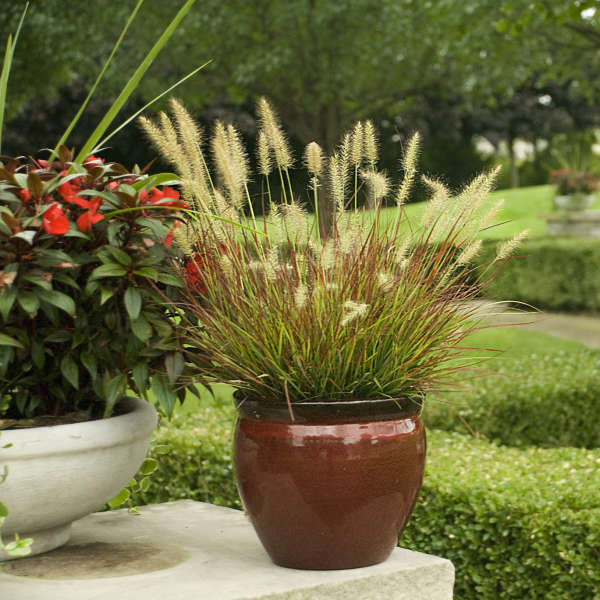 Of all the hardy perennial grasses we offer, this is the only miniature variety to show some red color in summer followed by all-over blazing red color in the fall until frost. 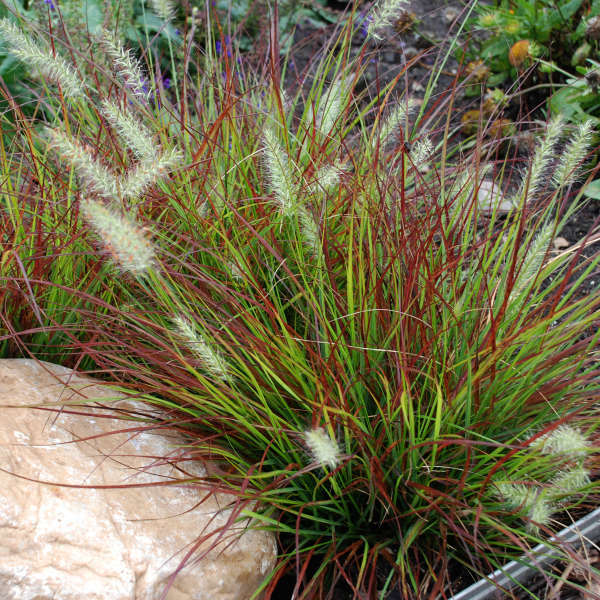 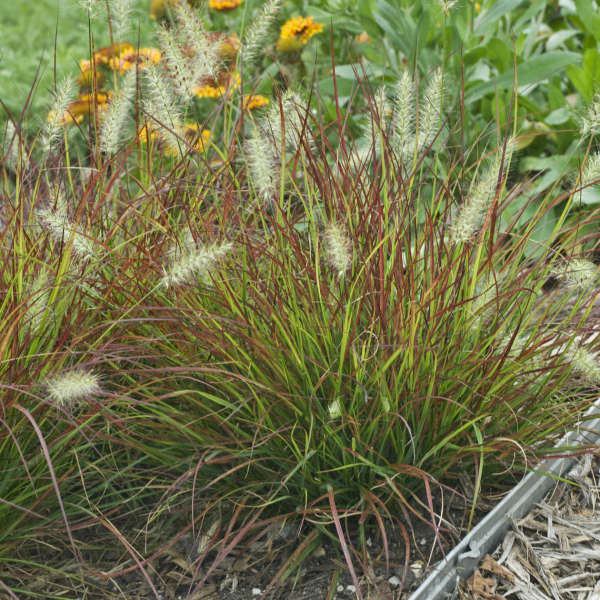 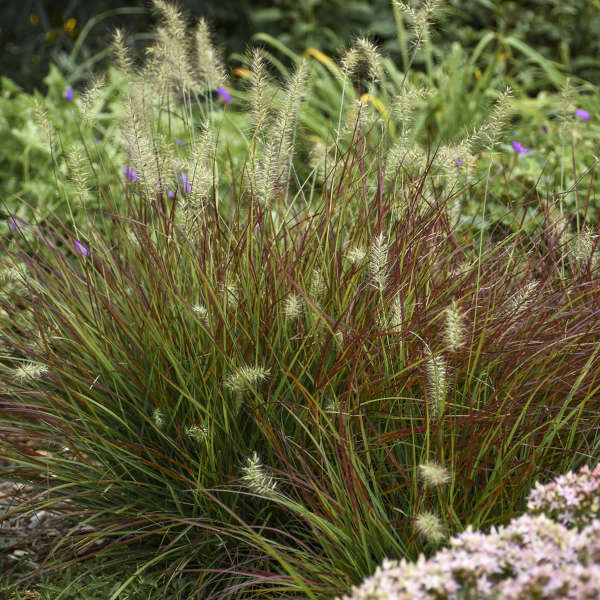 Everything about this grass is petite, including its short stature, narrow green leaves, and small tufted cream flower plumes in late summer. 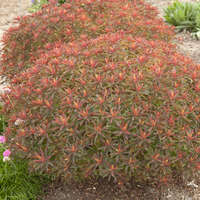 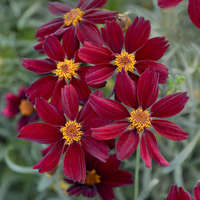 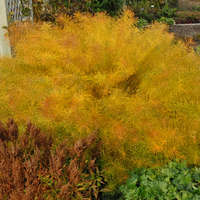 Use it in containers or the front of the border.